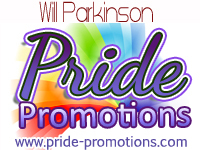 Blog Tour, Excerpt and Giveaway! 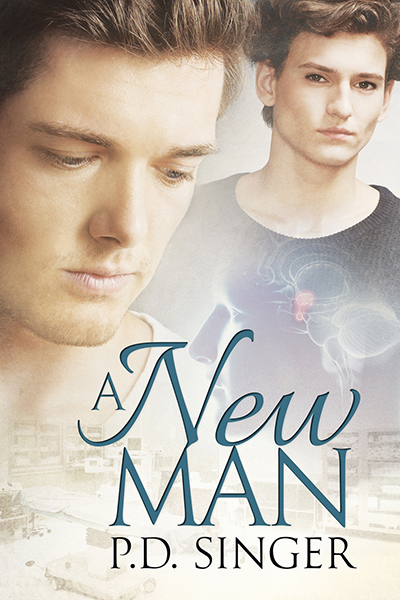 A New Man by P.D. Singer | Because two men are better than one! 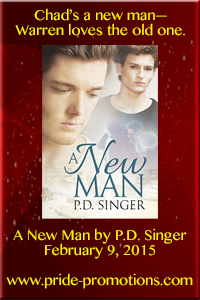 P.D Singer is visiting as part of a book blast. She’s sharing a couple of bits of information with us but make sure you check the other blogs taking part in the tour to get more information. Plus there’s a competition. On his feet now, Chad looked a little shaky. For a silent moment he stood, though it wasn’t clear whether he was forcing his body to behave or thinking. Warren didn’t flinch or pull away when Chad leaned in. Both his hands rested on Warren’s upper arms, which didn’t keep him from lurching forward so fast Warren thought he’d get hit in the face. But no, he stopped short and came in slow for the last inch. Eyes open and questioning, he met Warren’s mouth in a smooth, gentle kiss. Lips not quite parted, he brushed against Warren, searching, not demanding. What had gotten into him? 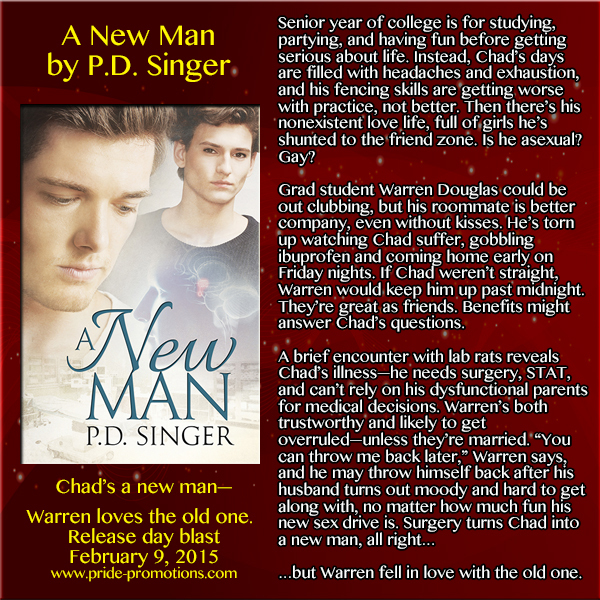 Warren kissed back, not too startled to respond in kind, adding nothing that might frighten Chad away. He wouldn’t lift his arms, he wouldn’t offer tongue, but he would meet Chad’s mouth for as long as he was offered it. 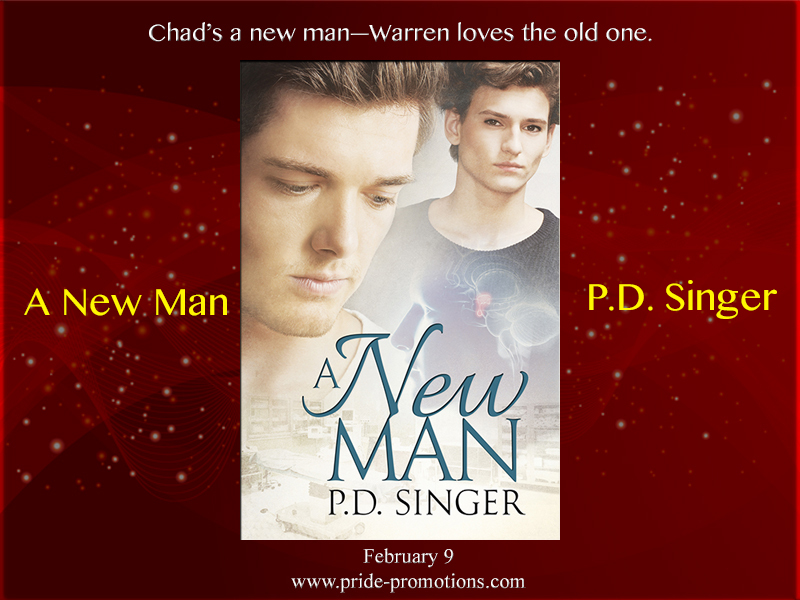 He had to tip his face up slightly and fight to stay in place when he wanted nothing more than to step forward into Chad’s arms, to plaster himself against that inviting chest, and thrust his tongue into the depths of Chad’s mouth. Chad’s eyes were blue drowning to black, his pupils dilated widely. Questions, but not fear, dwelled behind his irises, questions that Warren wanted to answer for him. Yes, you like this, yes, you want more, yes, you want it with me. Yes. P.D. Singer was asked a number of questions. Here’s what we found out. Check the other blogs on the tour to find out more about the author. I’m not that picky. Is it cold? Is it wet? Is it (preferably not) loaded with sugar? Yes. Think chocolate with caramel, lightly salted. P.D. Singer lives in Colorado with her slightly bemused husband, two rowdy teenage boys, and thirty pounds of cats. She’s a big believer in research, first-hand if possible, so the reader can be quite certain Pam has skied down a mountain face-first, been stepped on by rodeo horses, acquired a potato burn or two, and will never, ever, write a novel that includes sky-diving. I really love the premise–congratulations!